Welcome to the first annual Vivekies! The only award show that rewards the greatest, most entertaining, and somehow still existing professional basketball franchise on God’s green earth, the capitol city’s own Saaaaaaaaacccccramentoooooooo Kings! I’m your host, Ben Wong, and tonight we’ll be handing out some of the most prestigious awards in all of professional basketball. This is not the Maloofies, a similar award banquet held in past years to commemorate Kings players, often held at the Palms Casino, where guests were charged for bread and water that only 50% of the tables received. No! There will be no more Maloofies (Raucous applause)! This night, of course would not be possible without the hard work and dedication of our show’s namesake, Vivek Ranadive, and the man who Vivek once claimed would be the first “inter-galactic mayor of Mars,” Kevin Johnson. Thank you gentleman. And now, without further adieu, the 2013-2014 Vivekies. 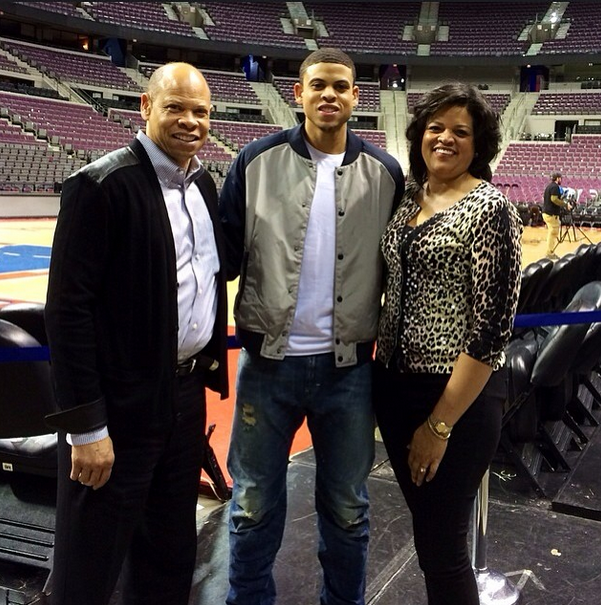 The Player You Didn’t Know At All And Now Love: Ray McCallum! Let’s have a look at how two NBA point guards are finishing their 2014 seasons. 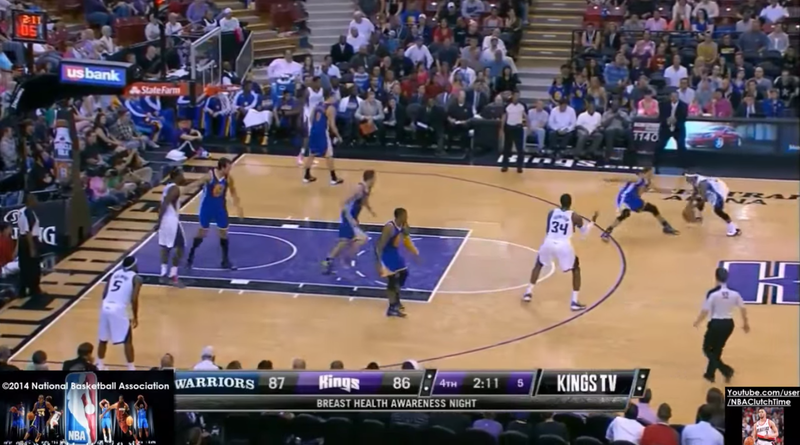 Player A is the opening night starter at point guard for your Sacramento Kings, Mr. (do you even remember?) Greivis Vasquez. Player B is the opening night FOURTH STRING POINT GUARD for your Sacramento Kings, a player who was not even active on opening night, Mr. Ray McCallum. They say it’s not about how you start, it’s how you finish. The Detroit Mercy product’s start was pretty damn quiet. 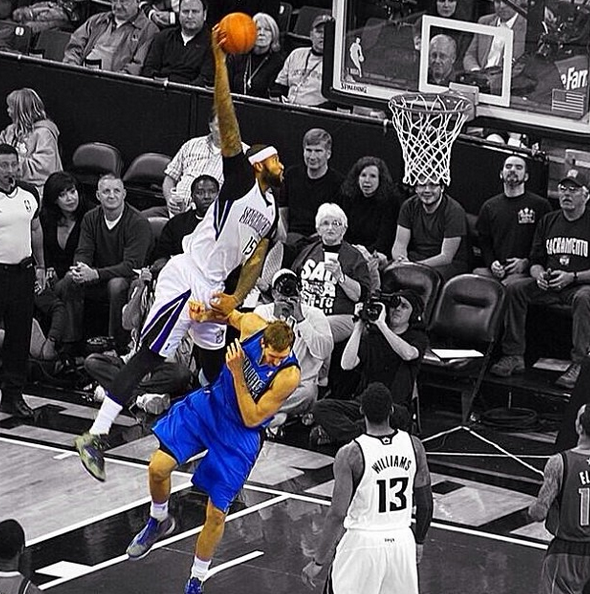 He began the season stacked behind Vasquez, then 6th man Isaiah Thomas, and some guy named Jimmer. He racked up the DNP’s and even was sent down to go tear up the D-League for a little bit. And then the dominoes started to fall. Greivis, traded. Isaiah ascended to a starting role, and Jimmer was dumped after this awkward “we’re cutting you but have a happy birthday” photo. Suddenly McCallum was getting all of the bench minutes at point guard, and even some clutch minutes at shooting guard over lottery pick Ben McLemore. After some initial growing pains, McCallum blossomed. 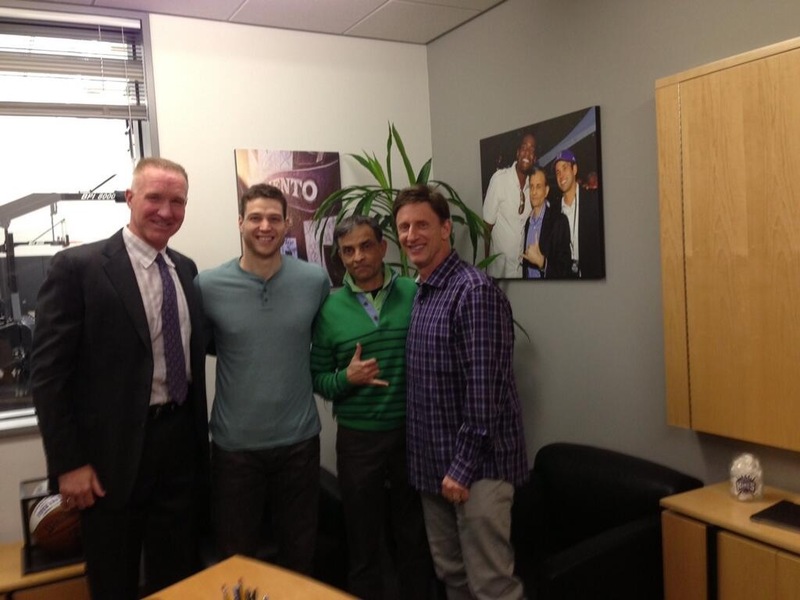 A late season injury to IT has allowed Kings fans to fall in love with the 2nd round pick, and made GM Pete D’Allesandro look like a genius for drafting RayMac and signing him to a three year deal. Ray has been freed. And it will be fun to watch number three spread his wings in years to come. The Player Most Likely To Leave Your Throat Hoarse From Yelling “No No No No No No YES! ?” At Your Poor Television Every Night: TRAVIS OUTLAW! Travis Marquez Outlaw, who was once somehow the recipient of a five year/$35 million contract with the then New Jersey Nets, was in true NONONONOYES form this season. Watching Travis Outlaw play basketball is an exercise in self-control. You need every nerve in your body not to unleash guttural screams to the heavens when he takes three turnaround jumpers in a row against a double team, and yet the sensation that hits your brain when he somehow makes the third one is almost too much to handle. It’s like blowing an hair dryer right into your face. Travis Outlaw also has the one of the worst trends going for him in all of basketball. 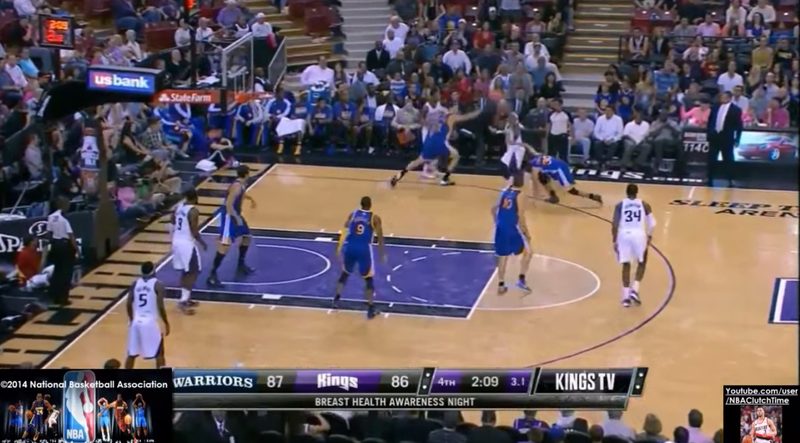 When @SippiCountryBoi scored over 10 points this season, the Kings went… wait for it… 1-10. Yikes. 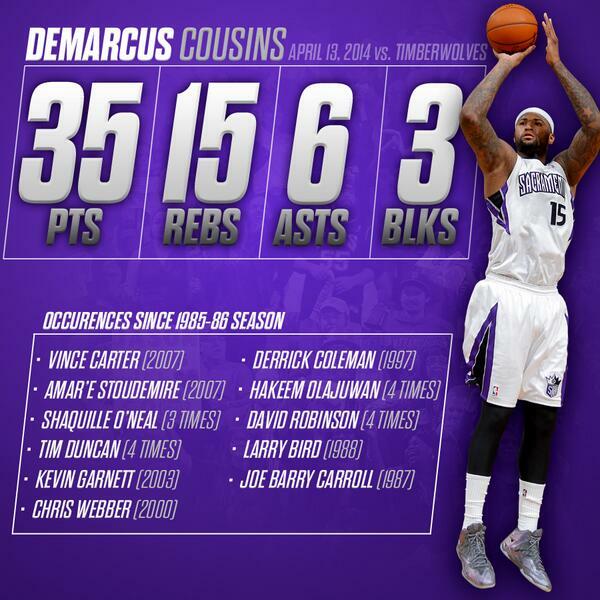 Our beloved Boogie Cuz surpassed Chris Webber for most double-doubles in a Sacramento Kings season, dropped the best All-Star Youtube video since Chris Bosh’s used car salesman bit, became an unofficial member of OVO Clique, and fooled all of us with a tantalizing April Fool’s Joke. He sure as hell got me. Many wrote about him, none of us fully understand him, and plenty hate him. I am fully on the BoogWagon, seated next to Bill Simmons and Jalen Rose, and I believe in Demarcus Cousins. 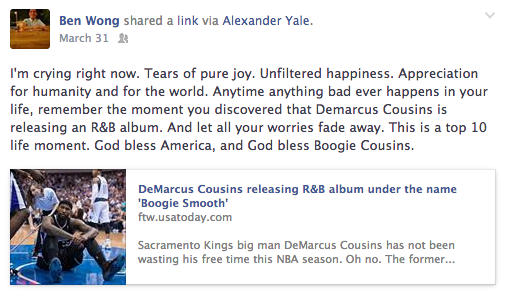 Demarcus Cousins is a 100% Unadulterated, Cage-Free, Authentic, Gluten-Free, Rick-Ross-grunt-before-you-say-it…. BOSS. Signature Video Clip: Any of the links above. 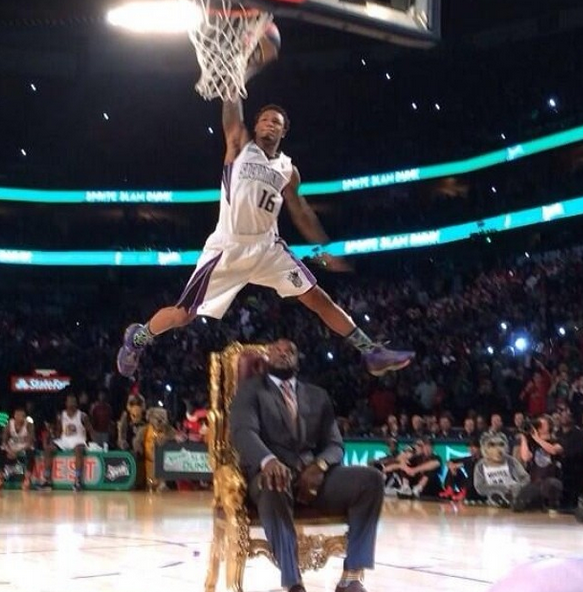 Though he made the dunk shown above, and damn it was sick, Ben McLemore led the league this year in crazy missed dunks. Ben’s high flying misses go flying towards the heavens, banging off the rim with an audible “blang,” sometimes finding their way into the paying customers. With Ben, it’s all about patience. He’s about as green as they come, and it’ll be a little bit before the dunks start falling, along with the mid-range jumpers and corner threes. In the meantime, just watch him fly. I still don’t understand how this happened. It doesn’t make any sense. It’s stupid and stupendous, funny and fantastic, and boggles the mind more than a Neal Degrasse Tyson lecture. 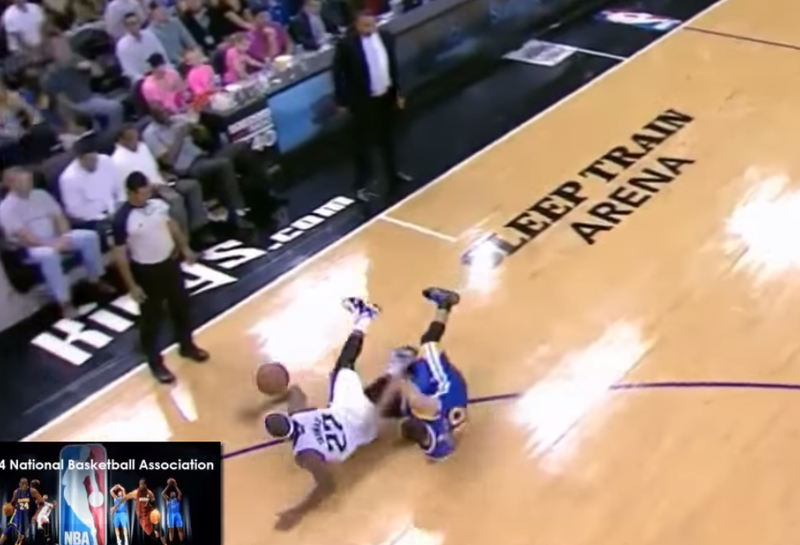 First, our intrepid hero puts Steph Curry on skates, (ankle breaking joke deleted in respect to Curry’s injury history). IT crosses SC so ruthlessly that Curry actually crashes into Isaiah, having lost all control of his limbs. 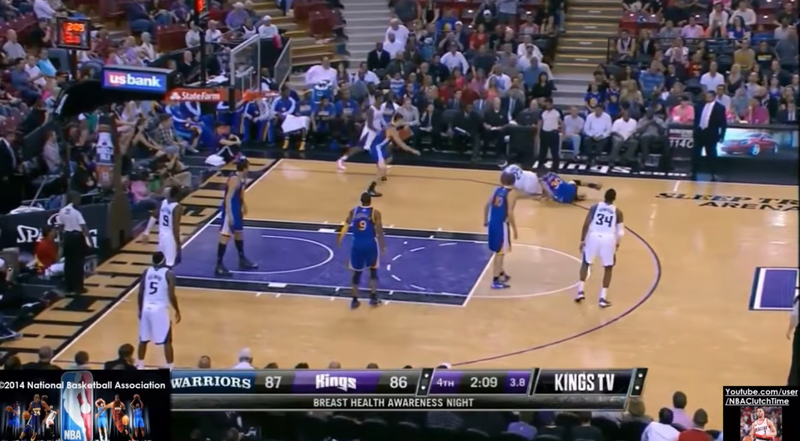 Thomas has turned one of the league’s brightest stars into a sharpshooter with no legs. Thomas falls flat on his chest, loses the ball, and then somehow gathers the rock and gets to his feet. Curry meanwhile, lays on the floor with a power-drill and some bits and begins reassembling himself from the knees down. Then, with about two seconds left on the clock, he does the unthinkable! He hoists! 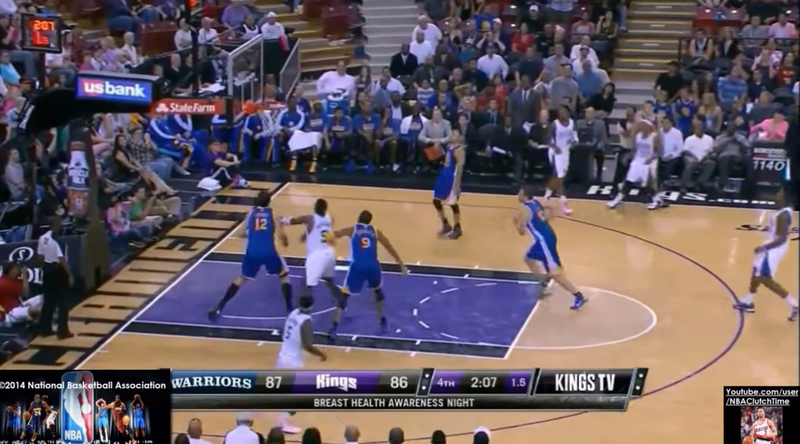 Klay Thompson and Steph Curry converge but it’s too late. Isaiah gets off the prayer. On one foot. Off-balance. AND BANKS THAT BAD BOY HOME WITH A SECOND TO SPARE! FOR THE LEAD! HUSTLE ON YOUNG HUSKY HUSTLE ON! Somehow, someway, Isaiah Thomas turned this: neck contorted, legs tangled, ball lost, hip buried in the ground, into a GO AHEAD LATE FOURTH QUARTER TRIPLE. I used to do this all the time… when I was seven… on a Nerf hoop… barefoot… in my bedroom. God bless you Q-Ace. Parenting is not dead in this country. After Cowbell Kingdom’s Jonathan Santiago Vined this gem, it found its way to Sportnation, BleacherReport, DLHQ, and of course, Twitter. I’ll let Quincy himself give the appropriate reaction to this. And that’s it for this year! Thanks everyone for coming out. Thanks to Pizza Guys, Zoom Imaging, and the Roseville Automall for being our only sponsors. Stay tuned for the Vivekies postgame show, hosted by the one, the only, Newton Carruthers (Crowd boos loudly).